Tuesday, March 26 at 4:00pm | “An Enchanted Circle Surrounding Me Like Magic: Heidelburg & its literary heritage from the Middle Ages to today,” a talk with Dr. Gertrud Roesch (Max Kade Distinguished Visiting Professor of German Studies, Notre Dame). Sponsored by The Department of German and Russian Languages and Literatures. Wednesday, March 27 at 4:00pm | A Conversation with Sandow Birk. Renowned illustrator Sandow Birk will be visiting Notre Dame on March 27 and 28. He will speak about his work, including his illustrations of the Divine Comedy and the Qur’an. Co-sponsored by the Center for Italian Studies , the Institute for Scholarship in the Liberal Arts, the Devers Family Program in Dante Studies, and the Program in Liberal Studies. Thursday, March 28 at 5:00pm | The Italian Research Seminar: “Pasolini Screenwriter for Fellini” by Prof. Claudia Romanelli (Alabama). The current spotlight exhibits are: Theresienstadt (Terezín), in remembrance of all the victims of the Holocaust, and Creeley/Marisol: Presences (through March 6, 2019). Both spotlight exhibits will be changed in early March to Purchas his Pilgrimes and John Smith (March 2019), and The Work of Our Hands, a multi-venue exhibition organized in conjunction with the Notre Dame Forum 2018-19: “The Catholic Artistic Heritage: Bringing Forth Treasures New and Old” (March – early June 2019). 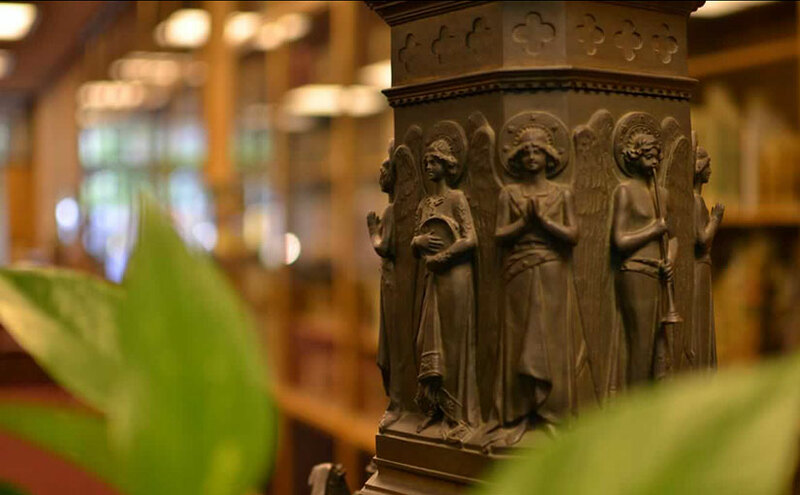 Rare Books and Special Collections will be open regular hours, 9am-5pm, during Notre Dame’s Spring Break (March 11-15).